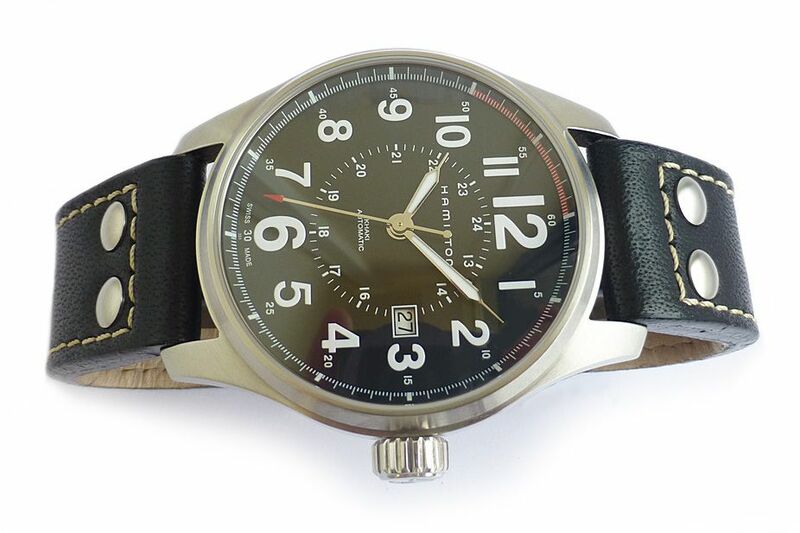 Brand new condition Hamilton Khaki Field Officers watch. It comes complete with box and appers and was originally purchased in in March 2015. 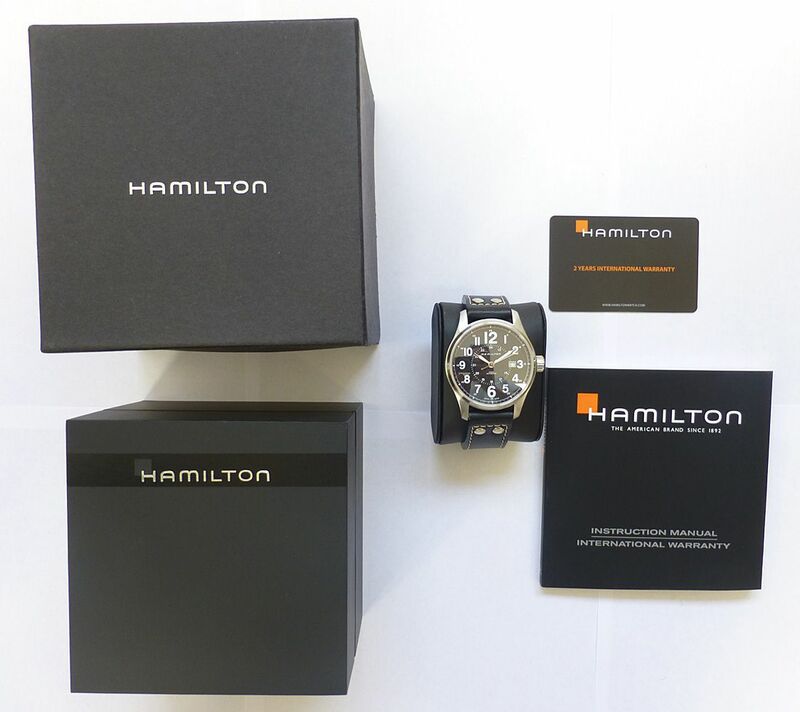 The Hamilton Watch Company was originally formed to produce high quality pocket watches and wristwatches mid-range and luxury. Hamilton would become a corporate conglomerate diversified in other operations. 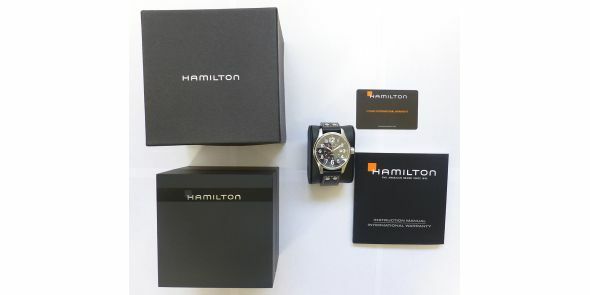 The Hamilton brand name still exists in name as a division of a major Swiss assembler of production grade mechanical and quartz wristwatches. 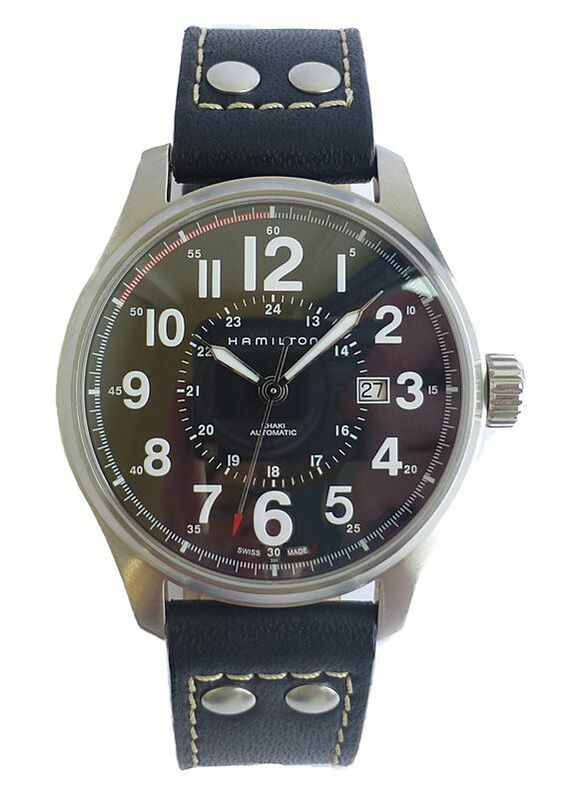 The Hamilton Watch Company was established in 1892 Its first series of pocket watches, the Broadway Limited, was known as the "Watch of Railroad Accuracy," and Hamilton became popular by making accurate railroad watches. 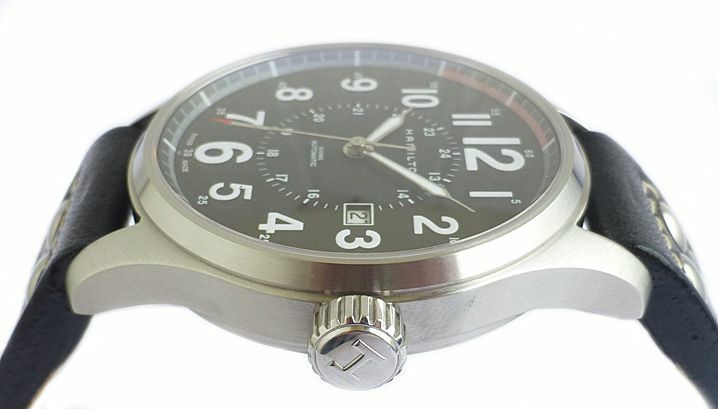 Hamilton introduced its first wristwatch in 1917. This watch was designed to appeal to men entering World War I and contained the 0-sized 17-jewel 983 movement originally designed for women's pendent watches. 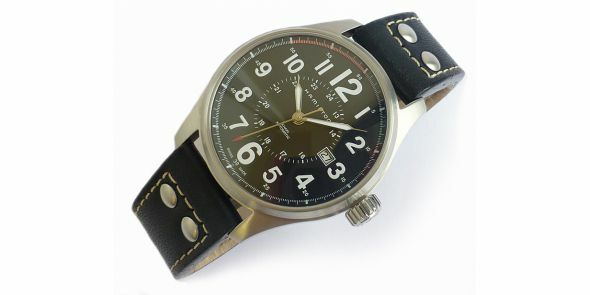 During World War II, production of consumer watches was stopped, with all watches manufactured being shipped to troops. 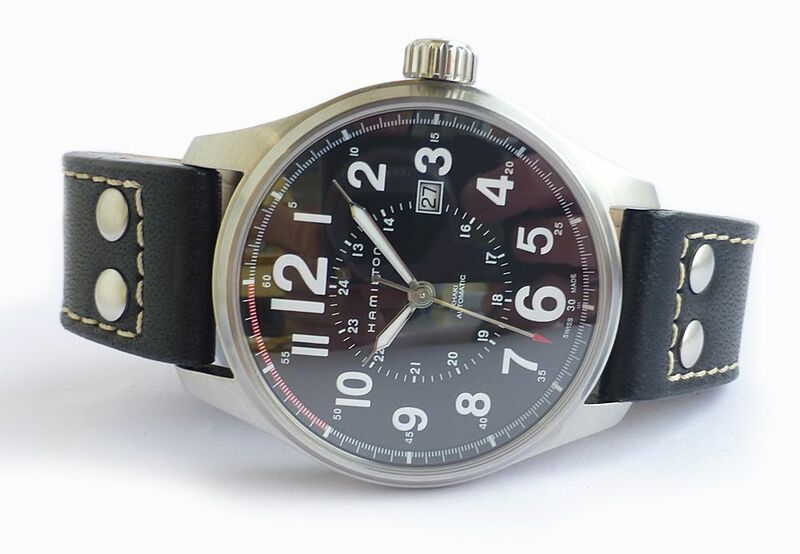 More than one million watches were sent overseas. 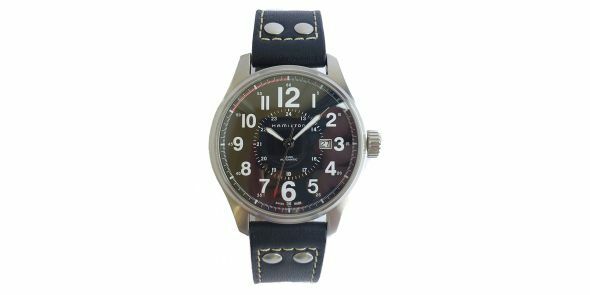 The company was extremely successful in producing marine chronometers and deck watches in large numbers to fill the needs of the United States Navy, and other Allied navies as well. 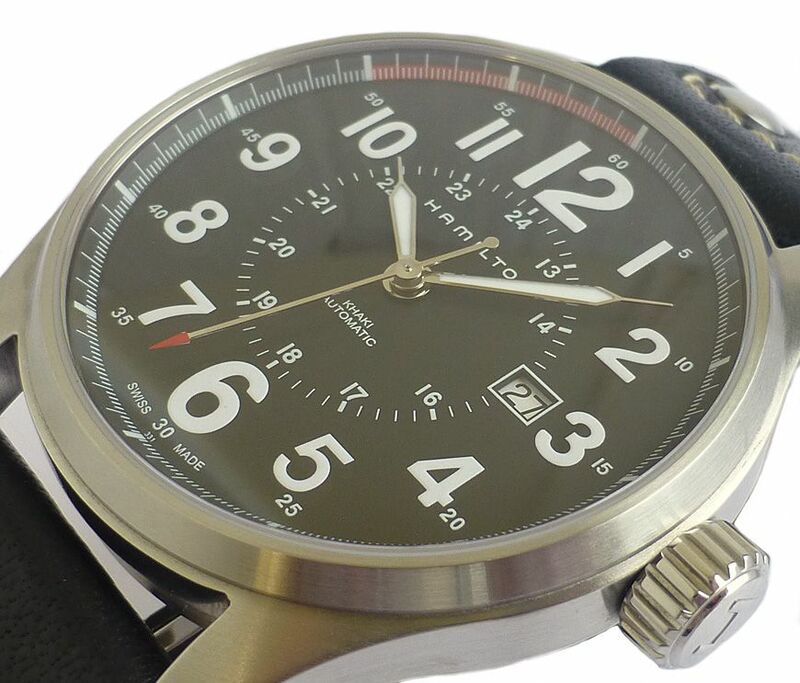 The Hamilton name brand is currently owned by The Swatch Group Ltd. Swatch Group Hamilton brand watches have grown increasingly popular. 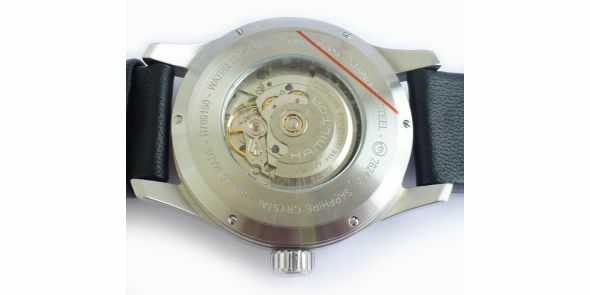 Modern Hamilton watches no longer use proprietary "in house" movements, instead using movements made by The Swatch Group's movement making subsidiary, ETA. 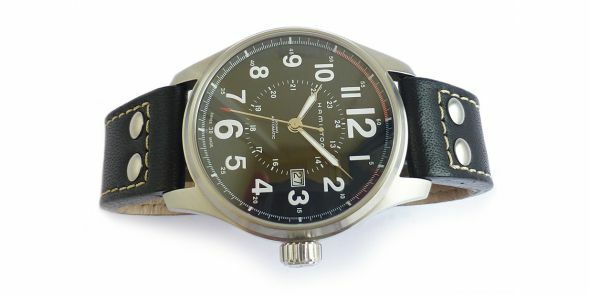 This is a Khaki Officers watch, which is based on one of the WW2 design wristwatches. It is a large and substantial which is made from brushed stainless steel. It has a large crown, with scratch resistant sapphire crystal and is water resistant to 100 metres. 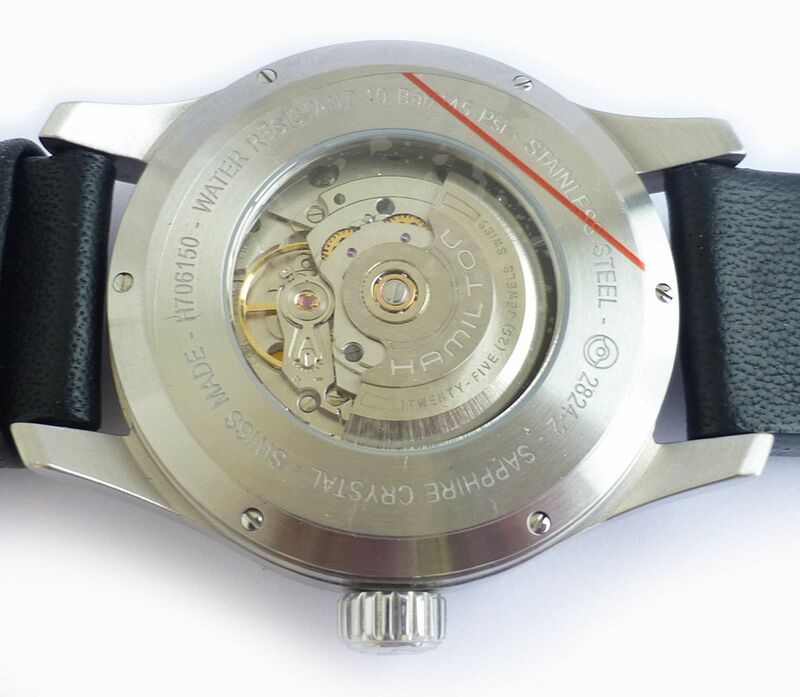 The movement is a Swiss made ETA 2824-2. 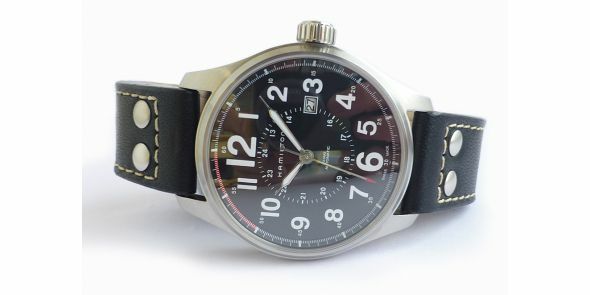 The dial is gloss black, large and highly legible with large numerals, large and retro looking hands and central second hand. 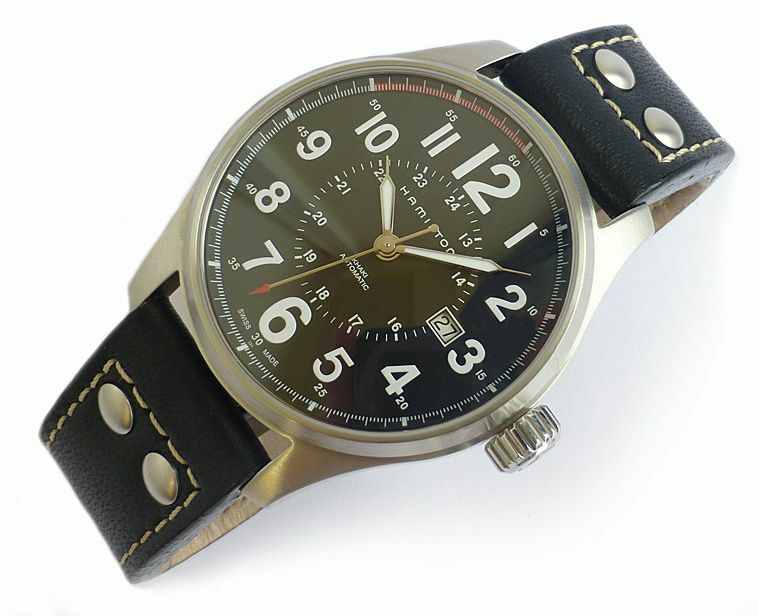 It comes on the original soft brown 22 mm leather strap with pin buckle. 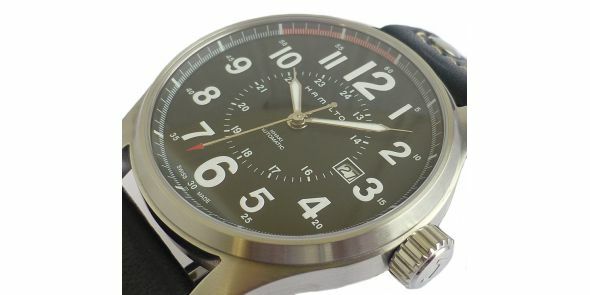 It is an outstanding value for money watch, very affordable and very wearable. 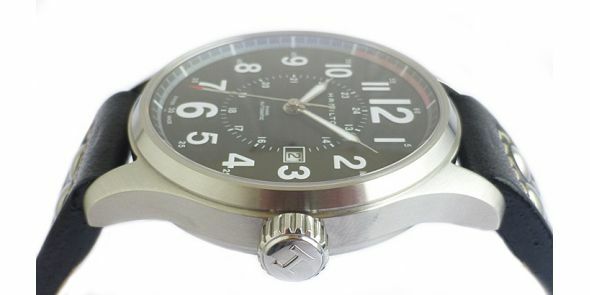 Width is 44 mm excluding crown and 48 mm including crown, Lug to lug is 52 mm, Thickness is 12 mm.